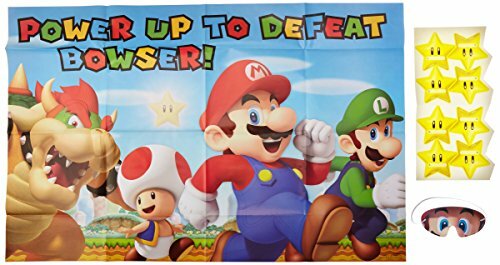 Be Mario or Luigi for a day! 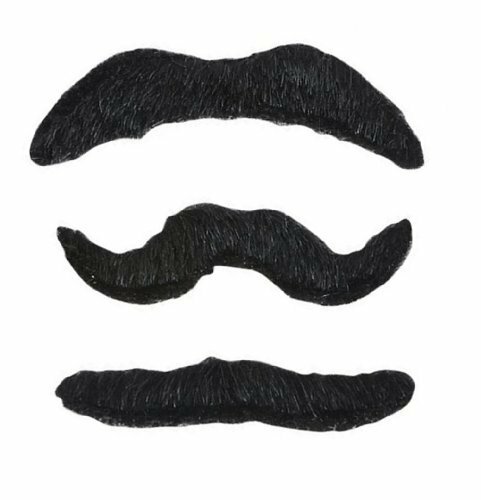 your inner plumbers will glow with these fun Super Mario brothers mustache favors. Slip in loot bags or stick on everyone's faces as soon as they walk in the door for a tremendous amount of fun party time! 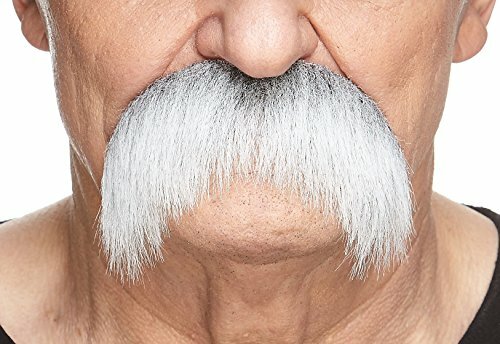 Villainous Hairy Mustaches. 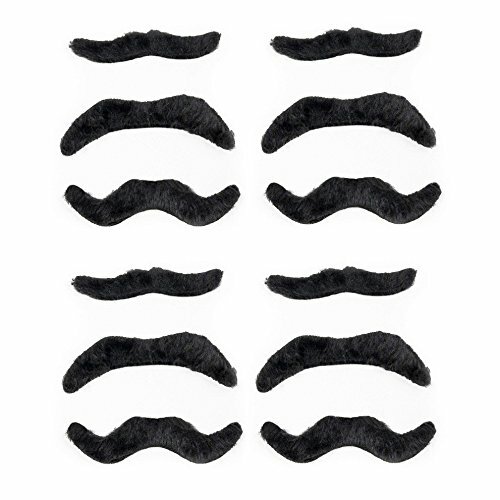 Play dress up with these self-adhesive mustaches! Wear one with your costume! (3 pcs. 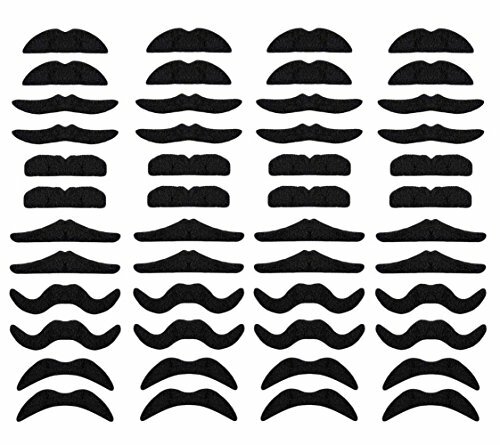 per card) 3"
Package Included: 48 PCS Novelty Fake Mustaches. Color: As picture shows. Size:10.7 x 7.9 x 0.2in. 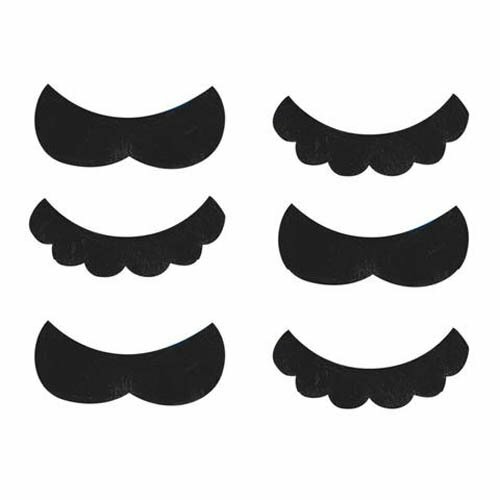 Perfect for gifts, parties, costume disguises. 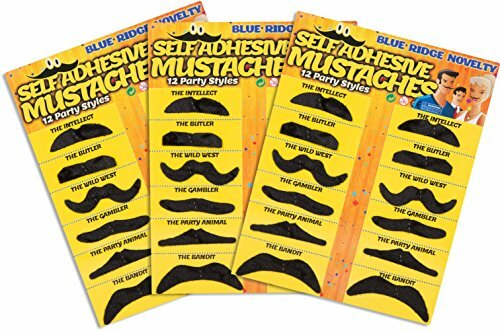 The fake mustache kit includes 6 different designs, include the partyboy, the bandit, the smarty and more. 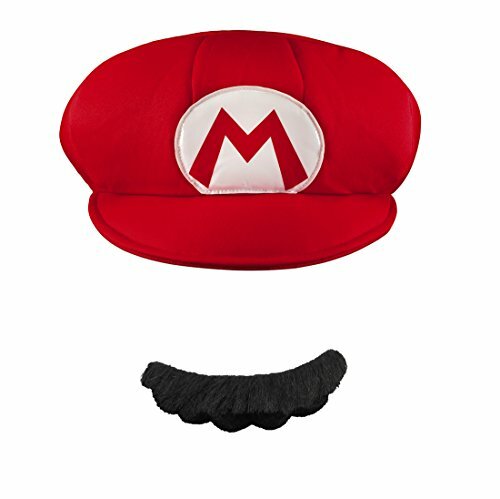 Change your mustache to match your mood in the costumes. WARNING: CHOKING HAZARD-- Small parts. Not for children under 3 years.